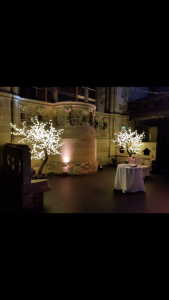 Let us help to make your wedding day truly special, with our newly launched led range. 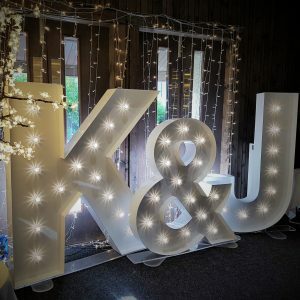 This includes large LED letters, 5ft light up letters and numbers, white LED starlit dance floor and floor standing led blossom trees. 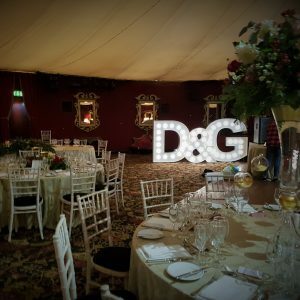 Our LED letters and full range are available to hire throughout central Scotland to areas including Glasgow, Ayrshire, Lanarkshire and Edinburgh. Although, we are happy to travel a little further afield too. 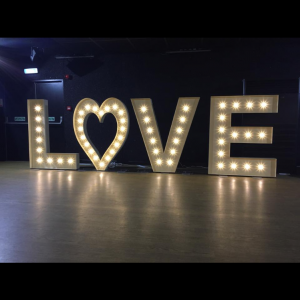 Our large led letters and numbers are 5ft tall and can be customised as you wish. 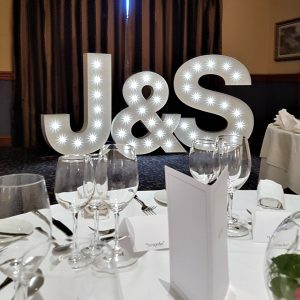 You can even have your name in lights! 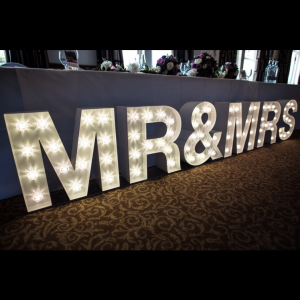 Other popular combinations include Love, I Do, Mr and Mrs, Mr and Mr, Mrs and Mrs. As well as Initials, Surnames and more. Our collection also includes a beautiful fibre optic italic Love. As well as a 50cm Mr and Mrs which is beautiful on its own or can top your surname. 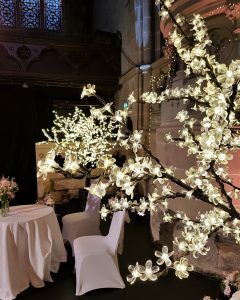 These breathtaking, floor standing, led blossom trees are available in both 2m and 3m tall. 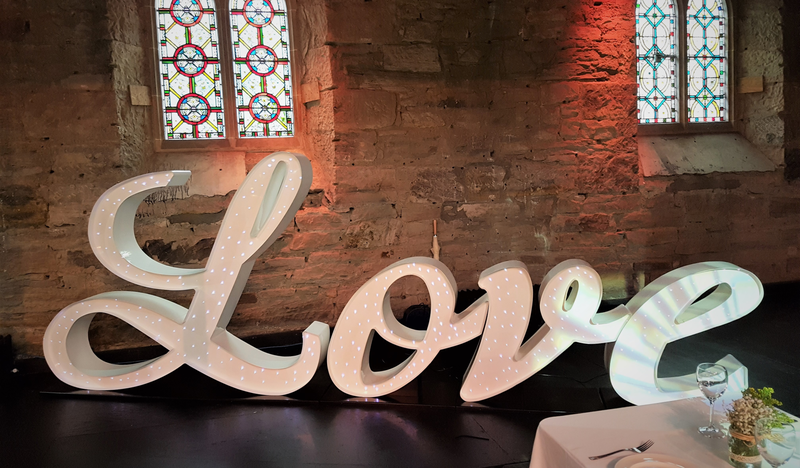 They are perfect for the entrance to your venue, marquee or even your aisle. 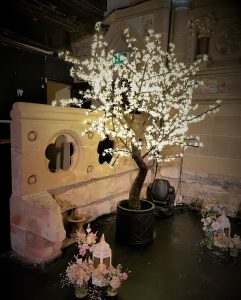 Our led blossom tree hire starts from only £159. 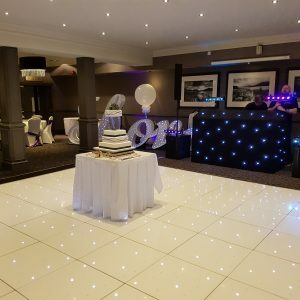 Our fabulous white LED starlit dance floor is the perfect place for your first dance. Making your evening reception truly unforgettable. 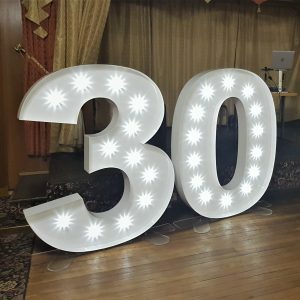 This white starlit dance floor comes in a range of sizes including 12ft x 12ft, 20ft x 20ft. 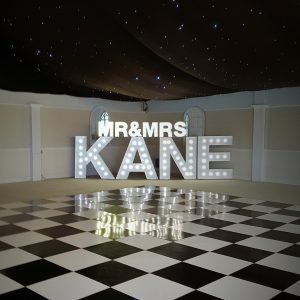 Our white LED dance floor starts from only £359. 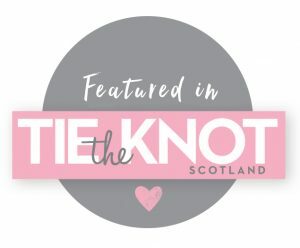 Contact us today for more information and to book your wedding or special event. All of our products are of the highest quality, are fully insured and pat tested. 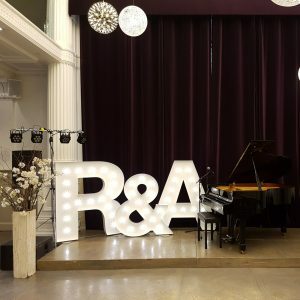 In large LED letters, we stock the full alphabet. As well as numbers 1-10. We can put together your surname, initials or any other combination you would like. 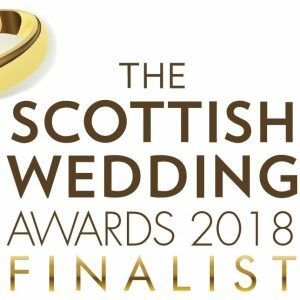 Delivery, professional setup and collection from your venue across central Scotland. Our main delivery areas include Glasgow, Ayrshire, Stirlingshire, Lanarkshire and Edinburgh. We will travel a further afield for a small additional charge. For further information and prices, contact us today. 12 of the Best Wedding Proposals you’ve Ever Read!